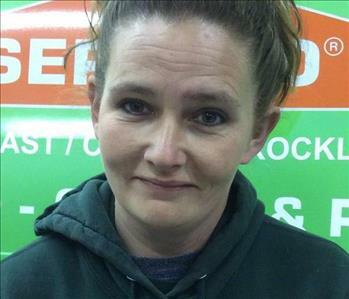 Crystal is a Production Technician at SERVPRO of Belfast/Camden/Rockland. Crystal has been with us for 1 year. She has completed the following Institute of Inspection Cleaning and Restoration Certification (IICRC): Production Technician Crew Certification, Carpet & Upholstery Certification, Water Restoration Certification and Water Damage Restoration. Crystal likes spending time with her family and dogs. They like walking, hiking and finding new places to visit and explore. She enjoys working with us because "I like doing something different each day and helping people." 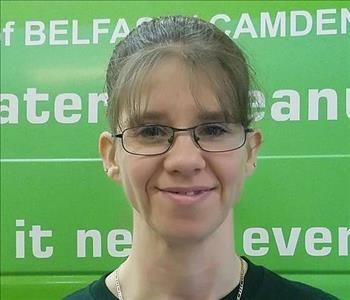 Shaina is a Production Technician at SERVPRO of Belfast/Camden/Rockland. Shaina has been with us for less than a year. She has completed the following Institute of Inspection Cleaning and Restoration Certification (IICRC): Production Technician Crew Certification. Shaina likes spending time with her son walking and snow shoeing. She enjoys working with us because "they are an overall good company." 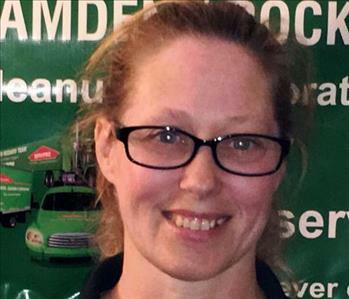 June is a Production Technician at SERVPRO of Belfast/Camden/Rockland. June has been with us for less than a year. She has completed training in Production Orientation, Fire Restoration Safety, Fire Restoration Cleaning, Water Mitigation, Water Restoration Safety and Demolition. June enjoys fishing, hiking and many other outdoor activities. She enjoys working with us because she has "the ability to learn and grow and the rewarding feeling of customer satisfaction." David is a Marketing Representative at SERVPRO of Belfast/Camden/Rockland. David has been with us for 5 years and he is a valuable member of our team. 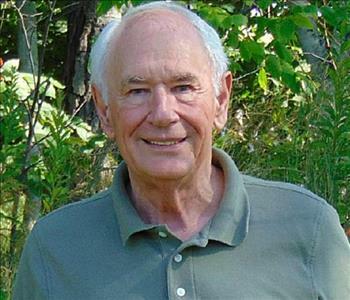 David likes reading & politics as well as his volunteer work with the Restorative Justice Project, the BACC Visitation Center and as an Ambassador for the PBRCC. He enjoys working with us because "I enjoy challenges of helping to build a business and the satisfaction of providing our professional services to the community"